The U.S. Department of Veterans Affairs (VA) has exceeded its goal to deliver 81,000 appeals decisions of disability benefits and services to Veterans in fiscal year 2018. 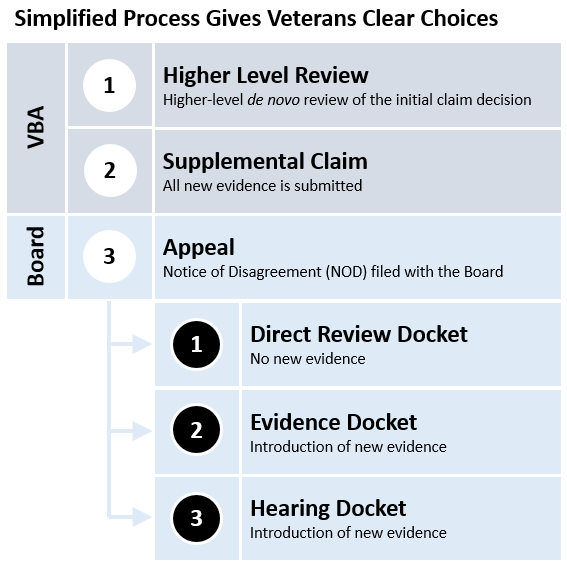 Veterans who disagree with the initial claim decision have three options: (1) Higher Level Review at the office of original jurisdiction; (2) Supplemental Claim with the office of original jurisdiction; and (3) Appeal to the Board. Once a Veteran appeals to the Board, he or she remains in control of the process by choosing one of three dockets best suited to the appeal: (1) Direct Review Docket; (2) Evidence Docket; or (3) Hearing Docket. For information about the Board and its progress on appeals modernization, visit the VA Board of Veterans Appeals webpage. For more on veteran benefits, including guides on VA claims and appeals, visit the Military.com Benefits section.